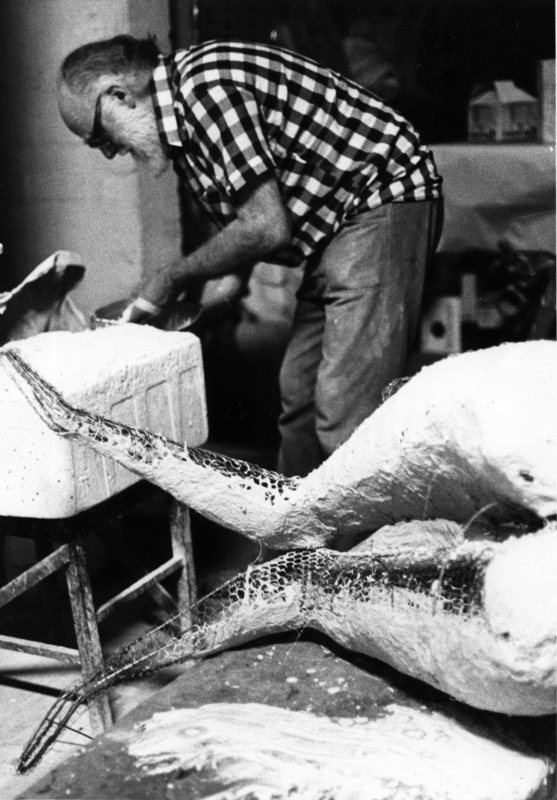 Tom Bass was born in 1916 and, after various jobs during the depression and army service during WWII, he began his career as a sculptor upon graduating from the National Art School in 1948. 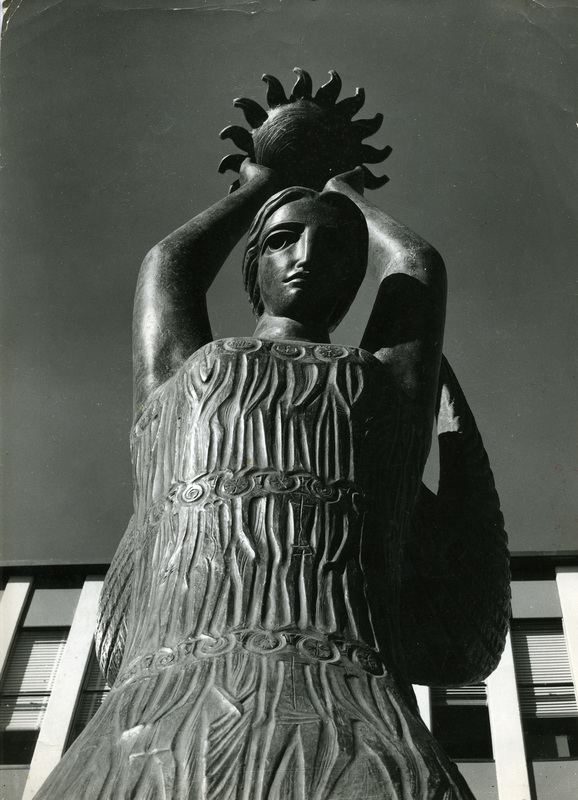 Bass was greatly influenced by what he had learned from Dattilo Rubbo, whose art school he attended in 1937-40, and he also benefited from being taught by Lyndon Dadswell. 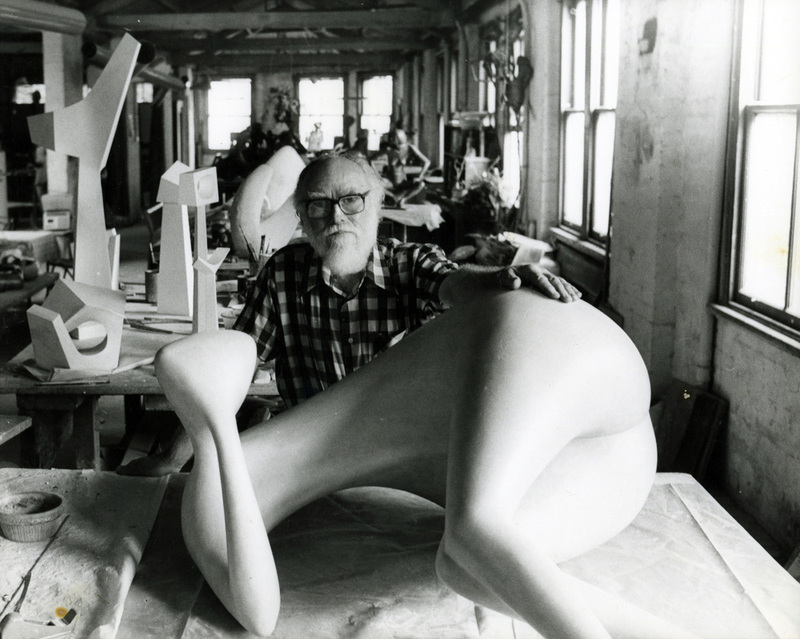 Bass was Dadswell’s assistant in 1949-50, after which he taught at the National Art School until 1953. 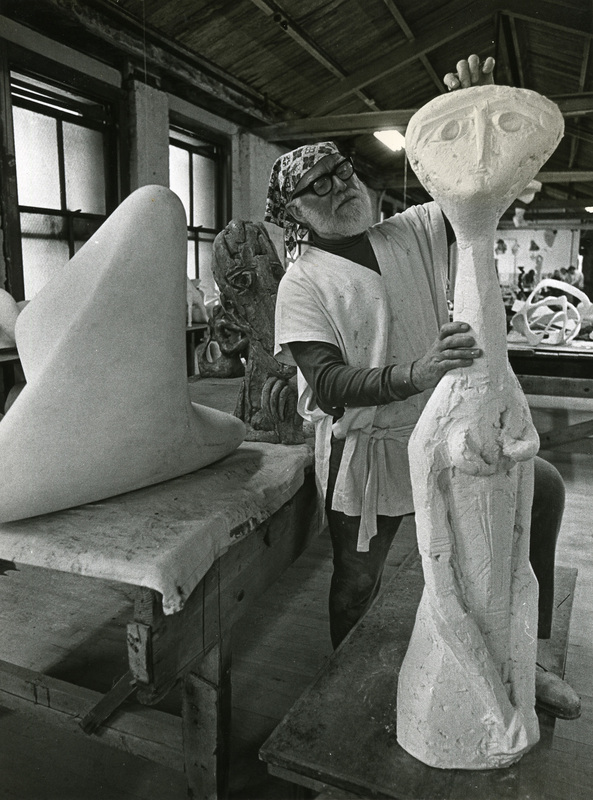 From 1951 to 1964, he held various executive positions with the Sculptor’s Society, of which he was a founding member. 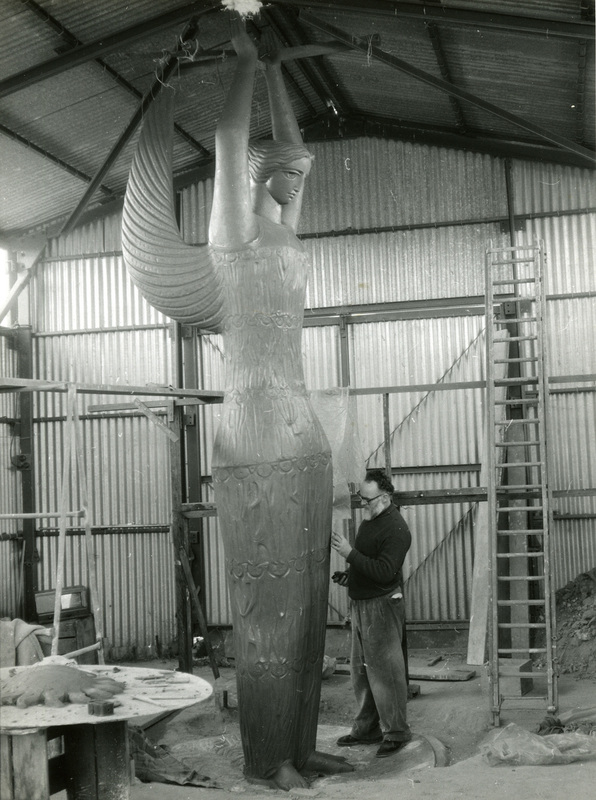 Tom Bass’ work as a sculptor has been concerned with communities, namely schools, universities and government and corporate and religious institutions. 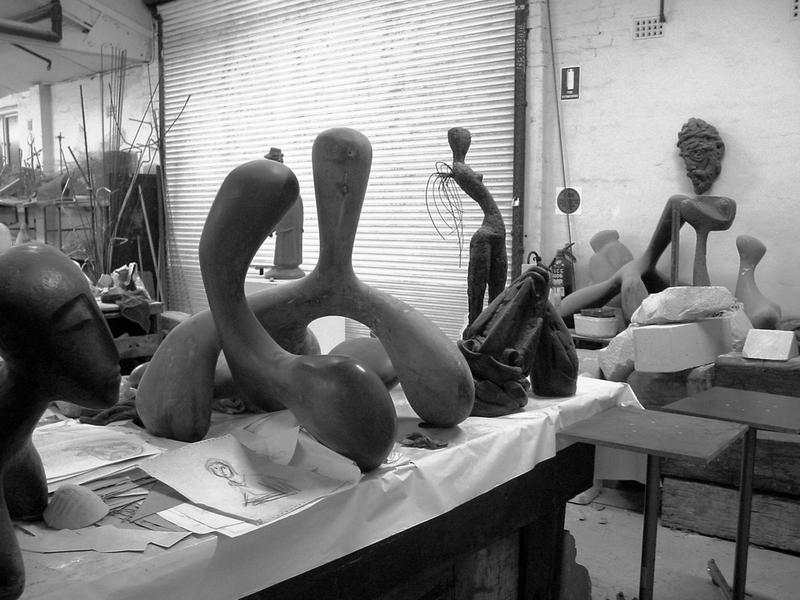 In the late forties, Bass developed his philosophy of working as a sculptor in making totemic forms and emblems, namely work expressing ideas of significance to particular communities or to society at large. 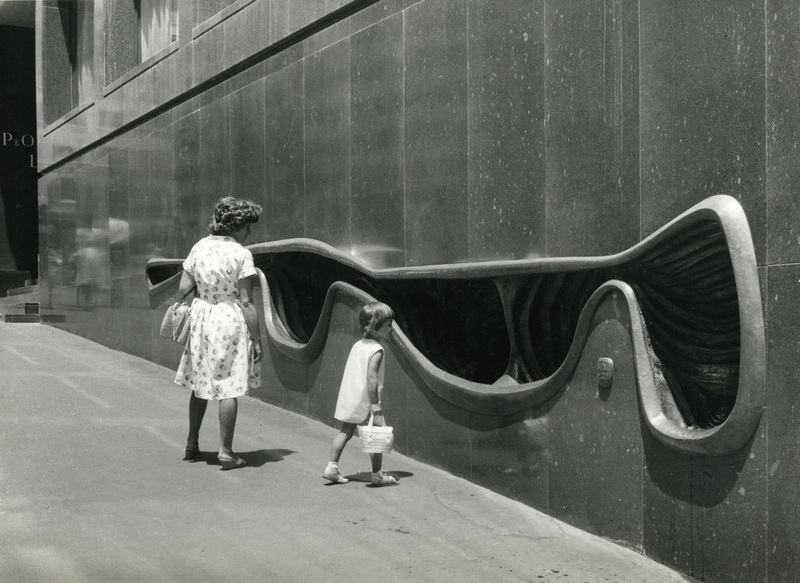 Examples of his work include The Trial of Socrates and The Idea of a University at Wilson Hall, Melbourne University, the winged figure of Ethos in Civic Square, Canberra, representing the spirit of the community and the Lintel Sculpture at the National Library in Canberra, representing the “idea” of Library. 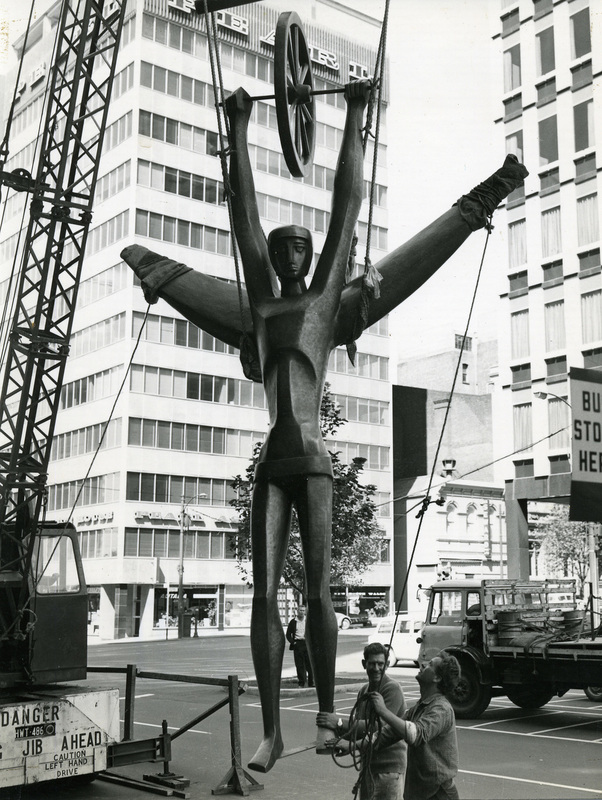 Over a twenty-five year period, this concept of the totem remained virtually the single focus of his work and is clearly represented in Bass’s many works in Australia and overseas.